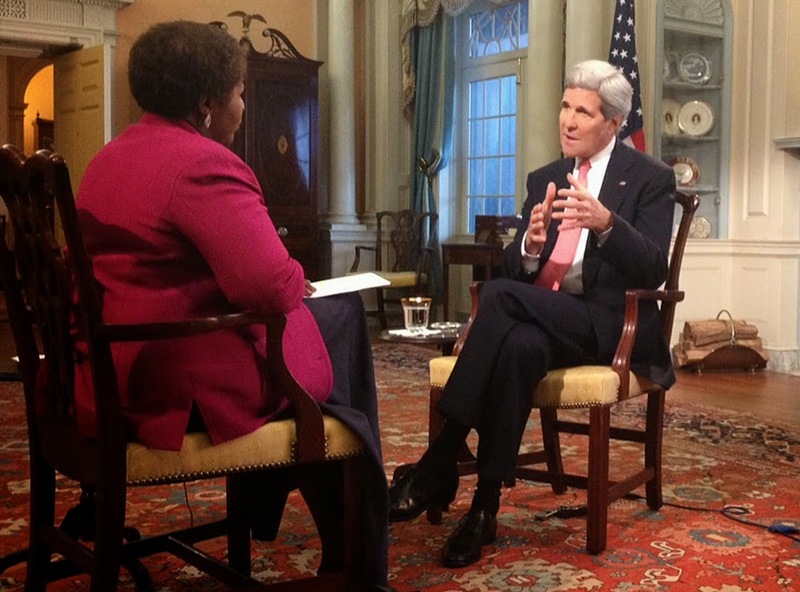 John Kerry, in an interview with PBS NewsHour’s Gwen Ifill, was responding to Nigerian President Goodluck Jonathan’s vow to free the abducted students by ordering a “full scale-operation” against Boko Haram Thursday. Africa is a basket case, like Pakistan and parts of Asia-lack of education still exists after decades of being given independence. After the White colonial masters left, they were replaced by Black ones-worse than the colonials-corrupted, lack of respect for women and greed, nepotism and lack of including other people. Africa was better off ( in some of the countries) when the white man was governing them-look at Zimbabwe and South Africa-shameful! African Union is a membership of Rogues and every time they have problems, the US must step in. Africa is a shameful continent!